Richard H. Smith is past President and CEO of Dow AgroSciences Canada Inc and now an independent consultant and business professional, active across a broad range of Life Sciences technologies. A graduate of the Institute of Corporate Directors, with 16 years of Board of Director experience, including publicly listed companies, privately held firms and Not for Profit entities. Board and related skills include corporate governance, audit committee, strategic planning, financing and compensation. He is currently, Director and Co-Chair of BioAlberta, previously Director, AVAC, Taiga BioActives Inc., Chairman, Commercial Solutions Inc. TSX:CSA, SemBioSys Genetics Inc. TSX:SBS, Chairman, BioProducts Canada, AVRIO Advisory Board, Chairman, CropLife Canada, Founding Chairman of BioProducts Canada Inc., (BPC). Andrée-Lise, founder of Cycle Capital Management, boasts almost 20 years of experience in corporate financing, management and engineering. Andrée-Lise has set up an investment platform specializing in cleantechs totaling more than 230 million dollars which brings together industrial, institutional and strategic investors. Throughout her carreer, Andrée-Lise developed a network of top-notch partnerships, from businesses, political affiliations and environmental backgrounds. In addition to serving on portfolio companies’ boards of directors, Andrée-Lise is Ecotech Québec’s co-founder and Chairwoman, she also sits on SWITCH, the Alliance for a Green Economy in Québec, Société québécoise des infrastructures, Fonds Capital Culture Québec and Natural Gas Technologies Centre (NGTC)’s Boards’ of Directors. Andrée-Lise is also a member of the External Advisory Committee to the Vice-Principal of Research and International Relations (VPRIR) at McGill University. Andrée-Lise co-chaired a Task Force under the auspices of the United Nations Environment Program (UNEP) and for the Society of Environmental Toxicology and Chemistry (SETAC). Andrée-Lise has chaired, and has been a member of, many panels of judges, in particular the Grand Prix du génie-conseil québécois, the Canadian Consulting Engineers Awards (ACEC) and the Ernst & Young Entrepreneur of the Year Award. In 2011, Andrée-Lise was recognized as one of Canada’s Clean16 and was nominated for the La Presse/Radio–Canada Personality of the year, while in 2013 Andrée-Lise was named one of the Top 20 cleantech investors by CleanTechnica and amongst the most influential women in sustainable development and in the cleantech industry by Corporate Knight. Prior to founding Cycle Capital Management, Andrée-Lise created the first Quebec-based venture capital fund specializing in the Cleantech sector, namely the Fonds d’investissement en développement durable (FIDD) which gave birth to Cycle Capital. Andée-Lise has also launched a fund specializing in sustainable development, the “Fonds d’action québécois pour le développement durable (FAQDD)”. 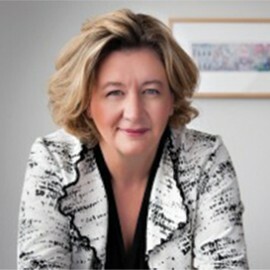 Among others, Andrée-Lise previously worked at Groupe Axor, CINBIOSE, and at the Commission de la Santé et de la Sécurité du Travail (CSST), Québec’s Workplace Health and Safety Board. Andrée-Lise has a Master’s degree in Science from the University of Montreal and a Bachelor’s degree in Geological Engineering from the University of Laval. Andrée-Lise also studied atmospheric physics at the University of Quebec in Montreal. 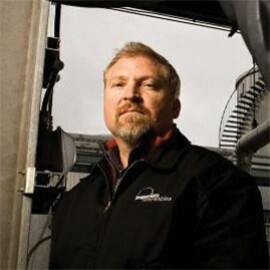 Mr. John Plaza was President, CEO and Founder of Imperium Renewables in Seattle, Washington. Mr. Plaza led the company through multiple rounds of equity and debt financing for more than $300 million in financing from 2004-2015. As the founder of Imperium, Mr. Plaza started the company in February 2004 by building the first commercial scale biodiesel production facility in the Western United States. The company‘s core focus was to develop and build advanced technology for biofuel production which differentiated itself in the market with fuel quality and scale. This innovative direction, which was led by Mr. Plaza, facilitated Imperium’s growth significantly over a short time period. Imperium developed, built and operated one of the largest biodiesel production facilities in the world at 100 million gallons per year, Imperium Grays Harbor. Under the direction of Mr. Plaza, Imperium became a leading biofuels producer and developer of innovative process technologies for high quality biodiesel production. Most recently, Imperium had been focused on renewable jet fuel production platforms. These include building commercial scale facilities to produce renewable jet fuel, as well as research and development of future production pathways for renewable jet fuel from biomass sources such as energy crops, agricultural residues and municipal solid waste streams. Prior to founding Imperium Renewables, Mr. Plaza was a commercial airline pilot for 20 years. Mr. Plaza has flown over 17,000 hours in more that 50 different aircraft, starting his career as a bush pilot in Northern Alaska, then going on to fly B747, DC-10 and A-320 aircraft for Northwest Airlines. Mr. Plaza has acted as an Adviser to the Clinton Global Initiative Americas, 2012 Clean Fuel & Transportation and is a contributor to the Sustainable Alternative Fuels for Aviation Expert Group (SUSTAF) created by ICAO. 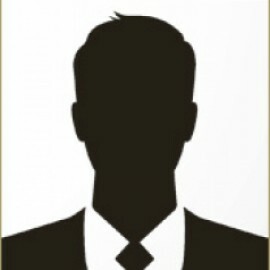 He has been named one of the top 100 People in Bioenergy for 2011, 2012 and 2013. 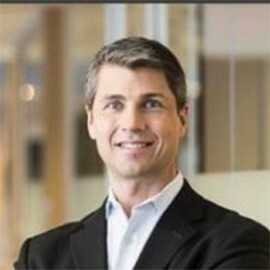 Mr. Dion Madsen is Senior Managing Partner in BDC. Dion brings over 15 years of senior management experience as a financial executive and venture investor, most recently as Founder and Managing Director of Physic Ventures, and as Managing Director of Unilever Technology Ventures, Unilever’s North American corporate venture fund. Prior to Unilever, Dion led Chiron Corporation’s investor communications, as Director of Investor Relations, and buit a new strategy for the company’s $500M BioPharma business. Before moving to San Francisco, Dion spent five years as Partner of RBC Capital Partners’ Life Sciences Venture Fund, the first third-party capital fund in RBC Capital Partners’ history. Dion is a founding member of C100, a select group of the top 100 Canadians in the San Francisco Bay area, and has sat on the boards of directors of many venture capital funds and companies in the pharmaceutical and health care industries. He has also held the roles of M&A Advisor, Strategic Consultant and CFO for a biotechnology company. He currently sits on the Board of Directors of Interface Biologics and is a Board observer at Agrisoma Biosciences, Phemi Health Systems and Chromatin. He is also a selection committee member of the San Francisco Canadian Technology Accelerator. Dion is a CFA® charterholder and has a Bachelor of Commerce in Finance and Marketing from the University of Saskatchewan.